105 organisations representing the full distributed ledger technology (DLT) ecosystem, including a number of big names from the financial services sector, announced their commitment to a new platform, the International Association of Trusted Blockchain Applications (INATBA). Launched at the European Commission headquarters, INATBA will promote the use of blockchain technology by developing a predictable, transparent, and trust-based global framework. Hosted at the European Commision Headquarters, the signing ceremony included a keynote speech from the European Commissioner for Digital Economy and Society, Mariya Gabriel, and remarks from Director-General, Roberto Viola. “Since we view Blockchain as an important enabler of the Circular Economy and the Sustainable Development Goals, iPoint is very excited to be a founding member of INATBA,” comments Joerg Walden, CEO of iPoint and co-founder of Blockchain startup CircularTree. 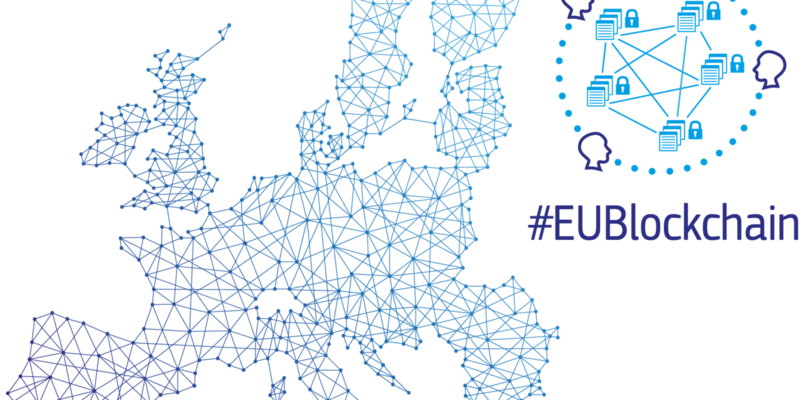 “We are thrilled to see that over 100 companies and organisations have partnered together to help develop the framework for distributed ledger technologies in Europe,” continued Mariya Gabriel, European Commissioner for the Digital Economy and Society. This initiative also has the strong support from leading international organisations. The European Commission, the World Bank, the OECD, the UN World Food Program, UNFCCC, UNICEF, the European Investment Bank, the European Bank for Reconstruction and Development, and the OECD have joined INATBA’s Governmental Advisory Board. All EU Member States and the European Blockchain Partnership are expected to join as governmental advisors. The organisations listed below have declared their commitment to develop interoperability and sector-specific guidelines and standards, transparent and inclusive governance and ongoing constructive dialogue with authorities and regulators, to ensure that INATBA will be a significant driver of blockchain innovation and adoption internationally. The post 105 Organisations announce new Blockchain association INATBA appeared first on Payments Cards & Mobile.